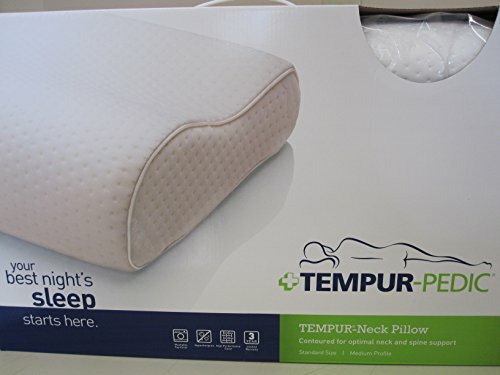 Constructed of viscoelastic memory cells that allow for self-ventilation, the pillow's dual lobe design supports the natural curve created by your head, neck and spine and properly aligns your spine for a more therapeutic sleep posture. It is temperature and weight sensitive molding to an individual's body. Pillow measures 20" L x 12" W x 4" D.
This standard size fits most people 5' 4" to 5' 11" with medium build. Includes 75% cotton/25% polyester cover with a zipper for easy removal , Cover is machine washable.